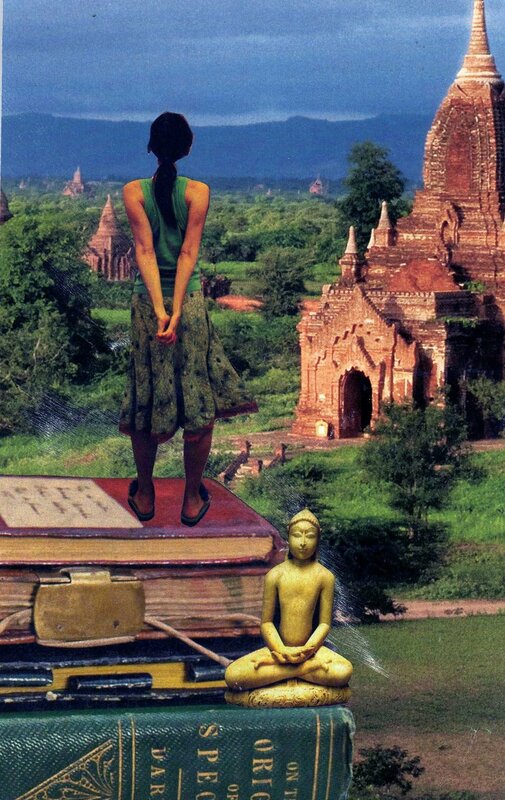 SoulCollage card: "Seeker: I am one who lives my questions and journeys my inquiry." Opening your intuition to determine the next right thing to do along your path. What questions are you living into in your life right now? What wisdom is ready to emerge from those questions at this time? What are the connections between the changes you wish to bring about within yourself and the changes you wish to see in the world? And what path will be the most effective one for you as you move towards meaning? The answers to these questions live within you, and it is my joy and honor to hold space and create a strong sacred container for the answers to emerge. Our work together centers on the vision of you as a whole, healed and transformed person who is living fully into your purpose. As a Regional Master Teacher for the Embodied Wisdom Teacher Training Program of Shakti Rising, I bring an expertise in experiential learning and embodiment to our work together, weaving the connections between personal healing and healing in the world around us. I have also trained in the techniques of Integral coaching, developed by James Flaherty at New Ventures West. Integral coaching approaches you as a whole person, focusing on alignment between our minds, bodies and spirits. How Can Coaching Serve Me? You might have a specific goal you long to attain, and are struggling with the changes necessary to make it happen. You might be feeling a general sense that there is more that you are meant to be and experience in your life. You might be experiencing blocks or stagnation in your life due to past trauma. You might be seeking to establish or deepen a spiritual practice that is meaningful, supportive and potent for your life at this time. In any of these scenarios and more, coaching can support you to discern the questions that are of greatest relevance in your life at this time, explore pathways to responding to these questions with your full self, and provide specific practices tailored to your unique needs. I offer coaching in both individual sessions and in packages of multiple sessions. Intrigued? Request a free consultation below.